(2) 郵寄抬頭”CANTONHYMN” 支票到 Flat G, 24/F, Blk 6, Belvedere Garden, Phase 2, No. 620, Castle Peak Rd, Tsuen Wan, N.T., Hong Kong. 恢復粵語共建專輯(三) “Waves of Love 愛.濤” 網上眾籌啟動! W.I.N. 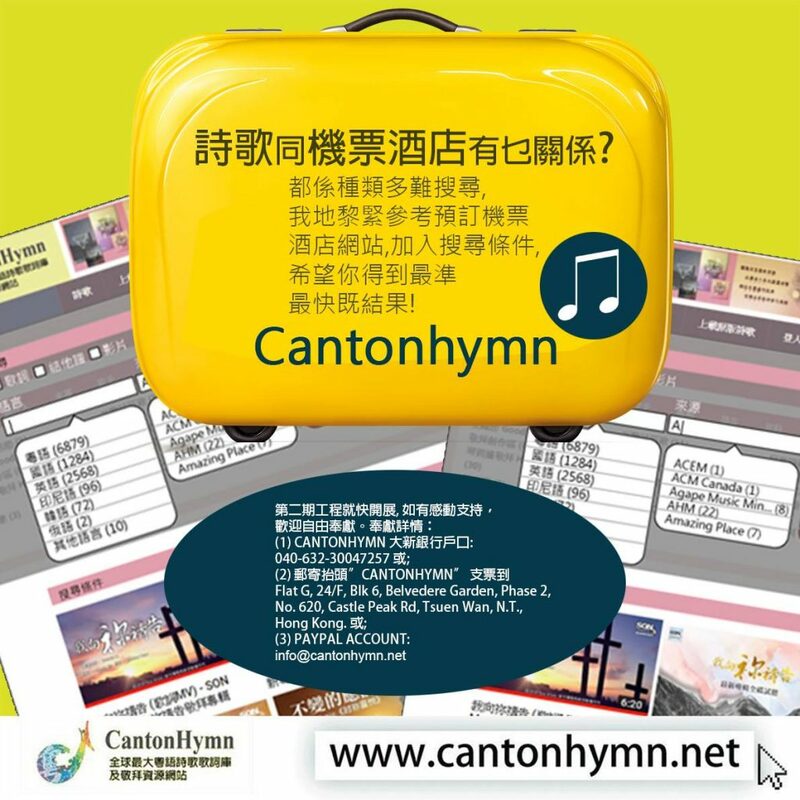 Music Conference – Cantonhymn 久違了嘅詩歌創作聚會終於來了!